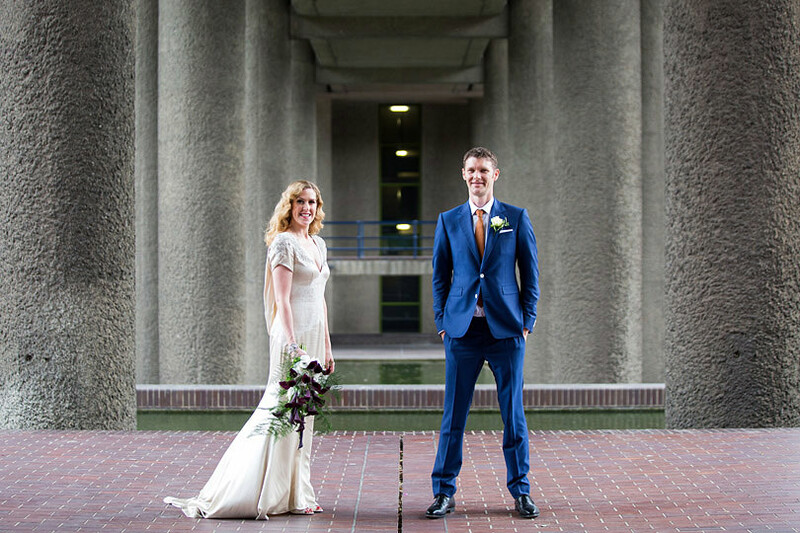 There's nothing quite like a wedding in London, it's unpredictable - where else can it take you an hour to go half a mile? The landscape is urban, gritty, busy, there's always a pigeon or two and a tourist in your shot but it's the most incredible place to be married. It may not be a Tuscan hillside but it's beautiful in it's own way and totally unique. I've always lived in London (albeit West) and its ways seep into your bones, I love it (I also sometimes very much loathe it... did I mention it can take an hour to travel a half mile?!) 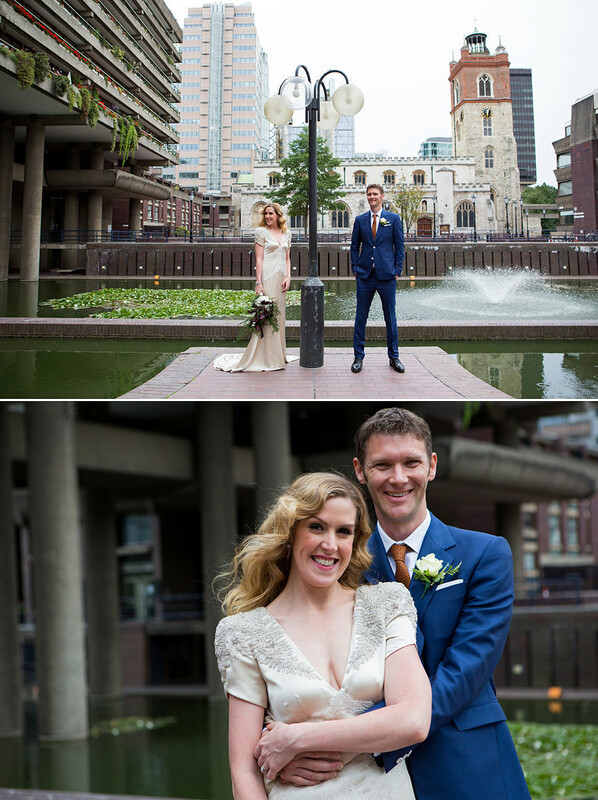 and I love shooting a London wedding, I love a couple who choose a pub near the Barbican Centre and insist that their couple portraits happen right there in the midst of Saturday lunch time. And I particularly love a couple who practise their first dance under the stone walkways! This wedding was as unpredictable as the city it happened in, running 2 hours late, a brides speech (so she could have the last word! 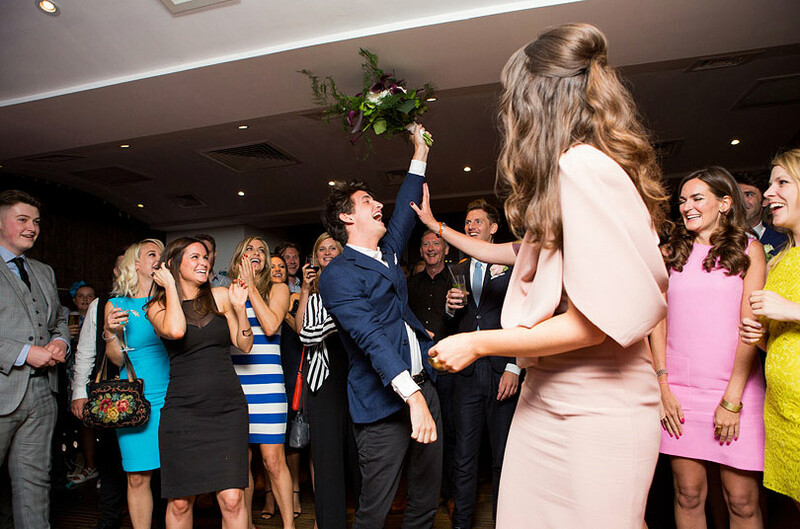 ), a pub reception filled with taxidermy and a pretty hotly fought bouquet catch. Gem & Matt thanks so much for having me there to capture it!